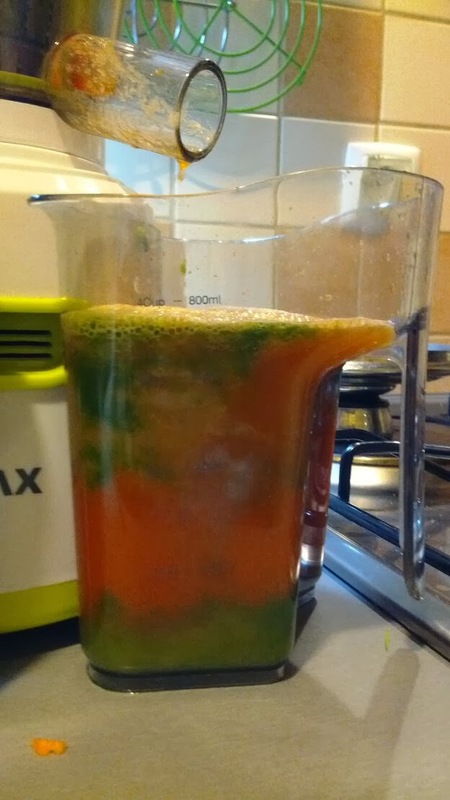 Since I have bought this thing called cheap cold press juicer, I am testing both our limits by casually throwing everything I get my hands on into its feeding tube. Then, after I drink the resulting strange liquid, I go online to check if those ingredients were a good idea. 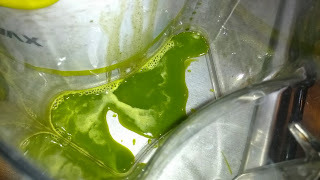 To save you the trouble: Internet clearly says that wheatgrass is unbelievably, incredibly, unthinkably, implausibly, and so on, healthy, for us, Earth humans, descendants of The Space Petunia. Wheat grass has the apparent ability to cure all the diseases known to humankind, to keep you strong and healthy, to keep you awake at boring lectures and meetings, to gently fix burnt-out christmas lights, to prolong the life of your Google Nexus 10 and upgrade its USB to facilitate native USB Host functionality, and so on. So, lets try to squeeze this green motherf****r.
and highly suspicious seed origins: Can it be squeezed? 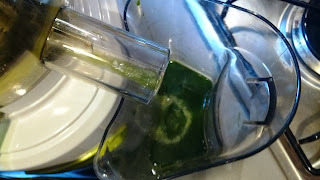 Of course, I suspect this experiment would yield even healthier results if the used wheat grass (is it wheatgrass or wheat grass? Spellchecker is going nuts on this) seeds were from known organic origins, and without Monsanto's secret ingredients which include hormones of the cave bear pup (ursus spelaeus) and sugary parts of the newt's larger eye brow. 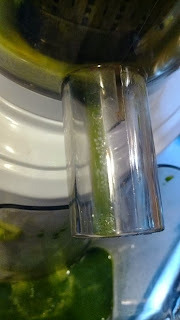 Wheat grass squeezing in progress. Juice is flowing. Great color. It is not the same picture, even though you would think it is. Even if it is, it has completely different caption. 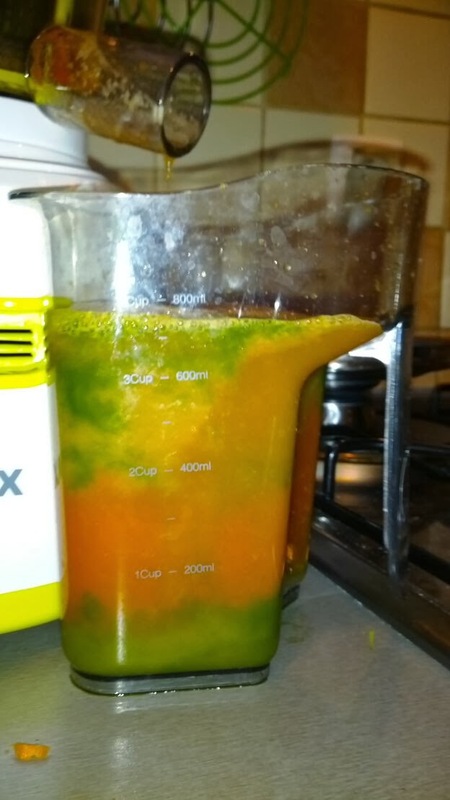 To conclude, the wheat grass juice was a successful experiment, even though we had to mix with other ingredients to gain more juice volume. The taste of the freshly pressed wheat grass is interesting. Strong, even sweet. If I may be bold and professionally descriptive, it is rather strangely good. 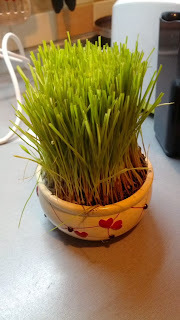 Apparently, wheatgrass is so unbelievably healthy for Earth humans, that it.. ok, let's just sit this one out. It is healthy, yes. 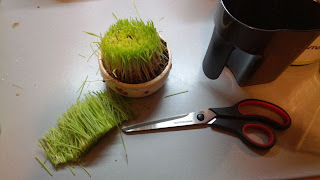 You can easily grow your own wheat grass at home, for making healthy juice and for feeding your guinea pig. You don't have to have lots of wheatgrass to enjoy its benefits in a juice. Or, maybe you do have to? 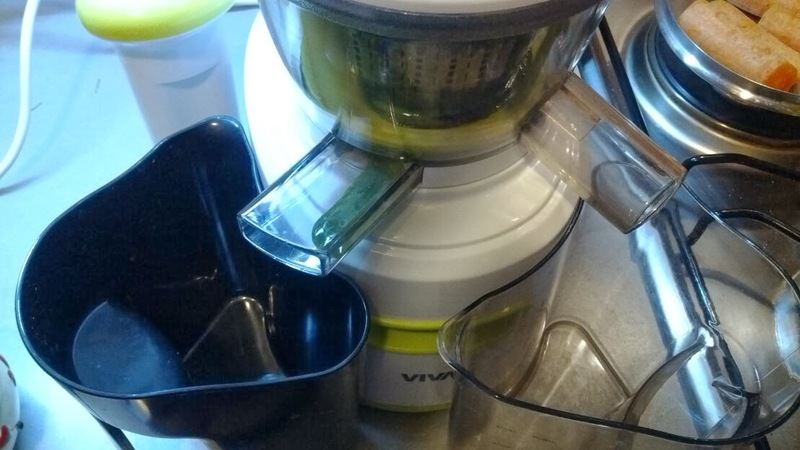 You have to clean the cold press juicer after use. You are not sure if you should spell wheat grass or wheatgrass. If you plan to grow your own wheatgrass, you have to make additional effort for obtaining monsanto-free, organic, wheat grass seeds. Apparently, you can't store this juice for longer than few hours, otherwise you will loose all the healthy benefits of the wheatgrass. You should have lots of wheat grass to make some juice volume. Or, maybe you don't have to?